This September, Cause We Care Foundation is excited to partner again with Turnabout Luxury Resale for the 2nd annual, Clean Out Your Closet for a Cause, promoting clothing consignment in support of single mothers and their children living in poverty within the Greater Vancouver area. Throughout the month of September, Cause We Care encourages Vancouverites to de-clutter, clear out and simplify their closets by hosting a clothing consignment party, inviting friends and family to donate gently used women’s clothing, shoes and accessories. No time for a party? No problem. Simply clear out your closet and drop off any gently used clothes, shoes and accessories at any Turnabout location across the Lower Mainland, mentioning the “Cause We Care” account. Since the partnership was launched over two years ago, $72,000 has been raised with proceeds from resale items going towards community development initiatives, including affordable housing, employment training, daycare and after-school care programs for single mother-led families in need. Resale items are accepted year round on behalf of the partnership. Individuals interested in hosting a consignment drive – for family, friends or co-workers – can register through the Cause We Care website. Cause We Care would like to encourage all those who participate share their consignment stories and photos using the hashtag #singlemotherstrong and #ConsignmentForACause. 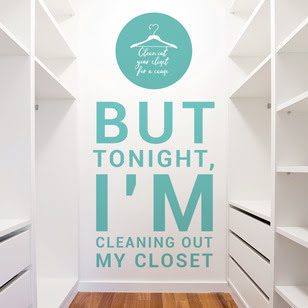 For more information on the Clean Out Your Closet for a Cause campaign, please visit http://www.causewecare.org.